Hello! It’s Kari from SunshineInMyPocket.com and I have a question. Who still has Photo Paper lying around? You know, the kind you used to print photos on inkjet printers? I have an entire giant box. So, being a creative type…I put it to use in my craft studio! The Alcohol Pearl inks are so beautiful…but I heard that you couldn’t use them on photo paper because they soak right in. However, I found a trick! 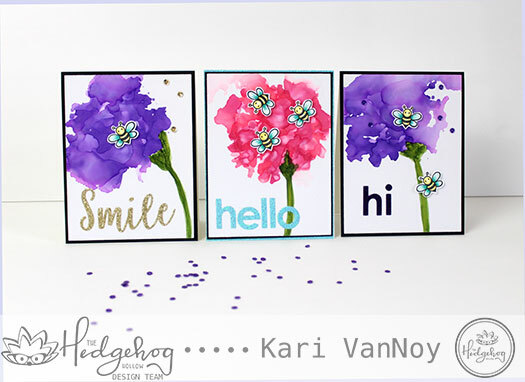 It’s such an easy technique…and I couldn’t stop making card panels! And for other cards, I used bees and sentiments from the Hedgehog Hollow February 2019 kit. I hope I inspired you to give these a try with your photo paper. And don’t forget your Blender Solution! I’ll see you next time! 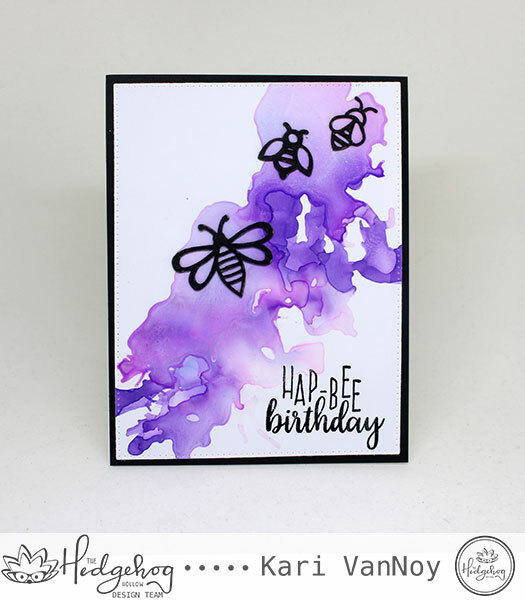 Enjoy those Alcohol Pearl Inks!